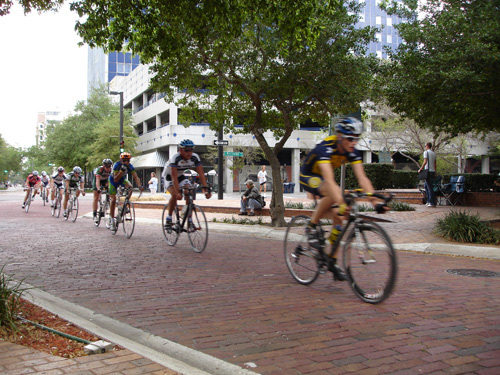 Florida Bike Month…Just Days Away! 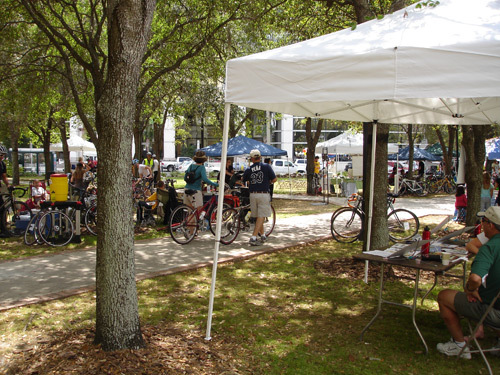 As many of you may know, Florida celebrates Bike Month in March rather than May like the rest of the country. 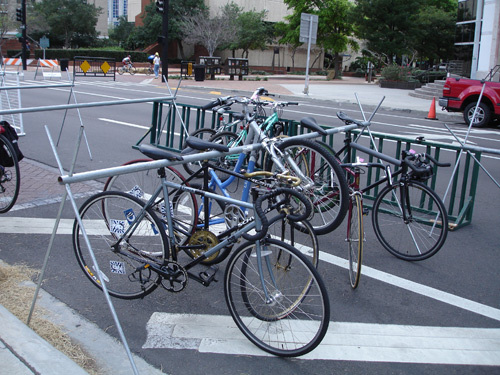 –Tuesday 3/2 Free tickets to Lightning game for those arriving via bicycle, sponsored by the Tampa Bay Lightning. –Thursday 3/4 Street Skills workshop (brown bag, 12 – 1pm), sponsored by Sprinkle Consulting, RSVP to Karen Kress . 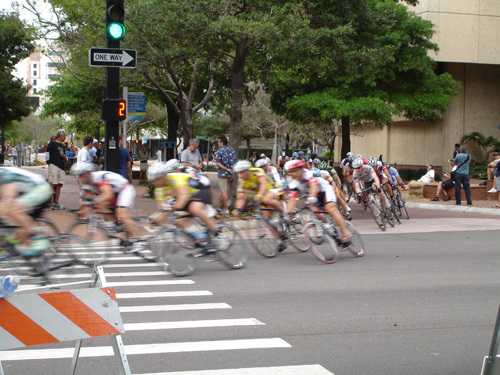 –Friday 3/5, 3/26 Bike to Work Day — Join experienced cyclists coming downtown from all directions with a morning meet up at Indigo Coffee. 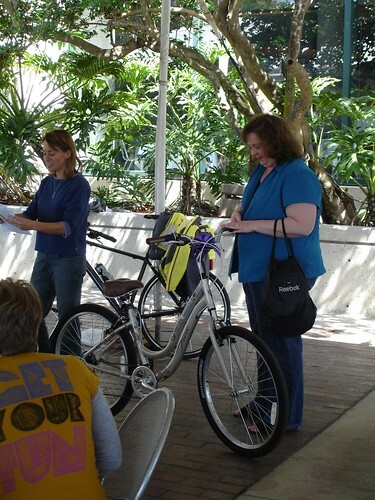 Words for Wheels free bike giveaway contest opens (due 3/22). –Log your miles to compete in the Commuter Challenge. 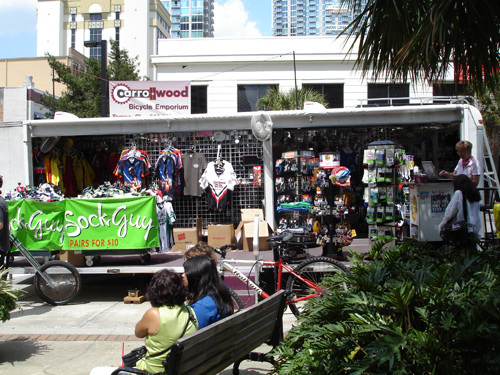 –Discounts at CityBike Tampa when you mention “Tampa BayCycle” (varies each week). –The Downtown YMCA is even offering free use of the locker room for cyclists throughout the month. 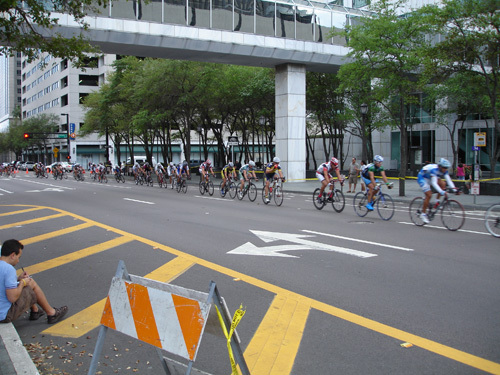 And don’t forget our 2nd annual Tampa Twilight Criterium and ECO.Festival on 3/27. 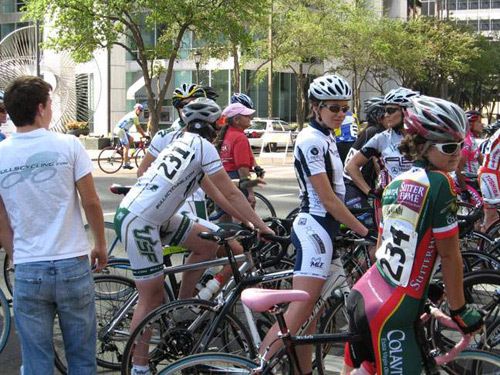 Hope to see some of you out there during Bike Month and at some of these events. With luck, I’m going to try to cover the Twilight Criterium like I did last year. 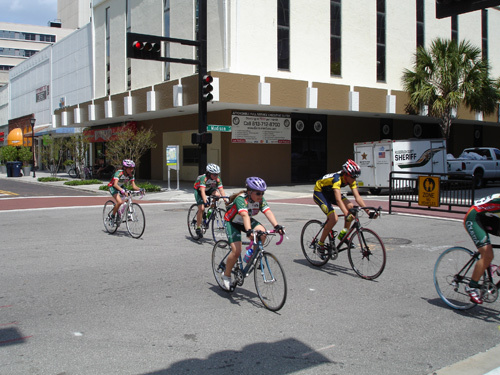 Florida Bike Month is in full swing here in Tampa — lots of events going on here and across the Bay in Clearwater and St. Petersburg. 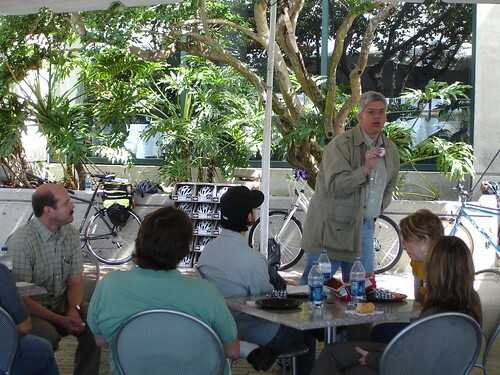 Last Friday, I attended the Urban Street Skills “Lunch and Learn” Session hosted by Tampa BayCycle and the Tampa Downtown Partnership. 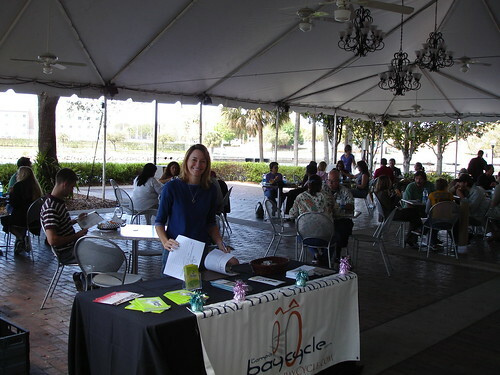 The event was held at the Tampa Bay Performing Arts Center. 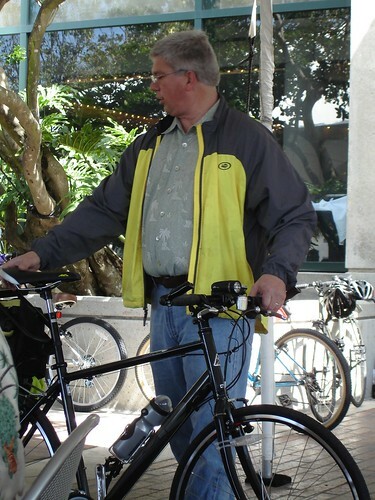 League Certified Instructor Theo Petritsch offered some informal instruction on bike-handling skills, commuter equipment choices and safety gear selection for a group of about 40 attendees. I met some new folks and ran into quite a few familiar faces…including faithful Bikecommuters.com reader Gordon Ridge. Using a variety of props, Theo demonstrated some crucial skills and facts to the folks in attendance. His instruction style was filled with humor, and the assembled crowd was rapt with attention. Later, Theo demonstrated some on-bike skills…including some tricks to look behind you while riding and a couple of crash-recovery techniques. There were things to learn for even this jaded commuter, and the event was well worth attending. Good times were had by all — and there are a lot more events going on this month. 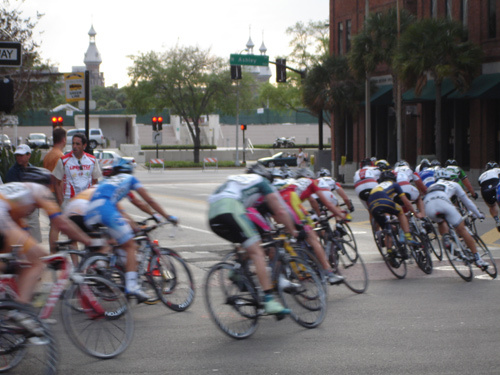 I’ll do my best to bring you coverage of some of the others, including the Tampa Twilight Criterium scheduled for March 21st. Stay tuned for more!